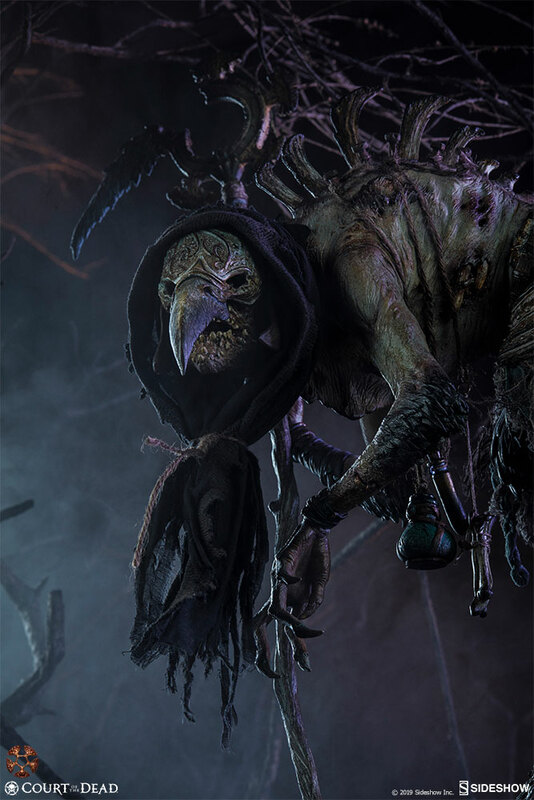 “They deride me, calling me ’needlepick’ - but let me ask you - what is sharper than a needle?" 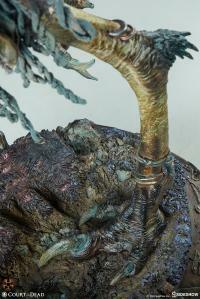 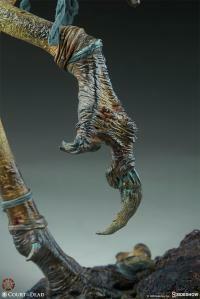 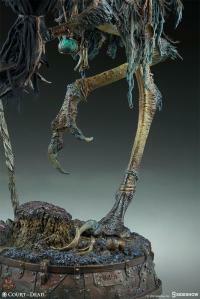 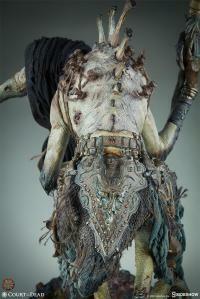 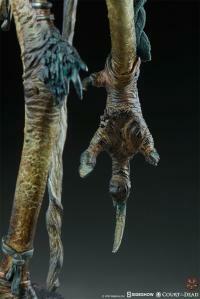 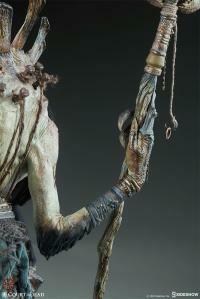 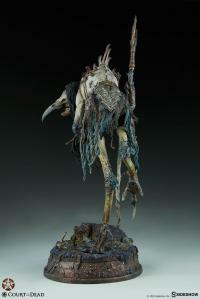 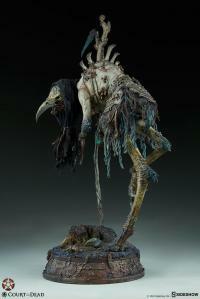 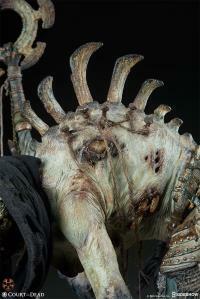 "In this particular pose/moment in time, Poxxil is scavenging a war-torn battlefield,” explained sculptor Mark Newman. 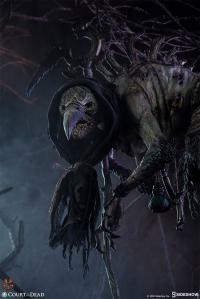 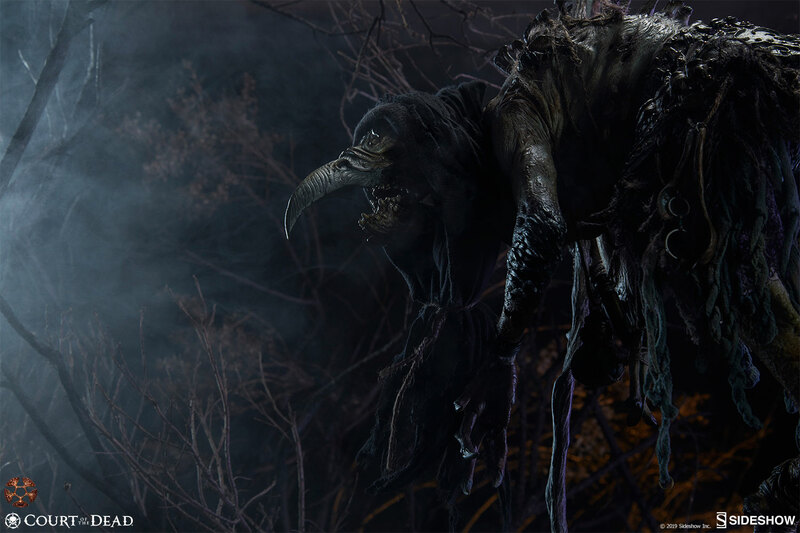 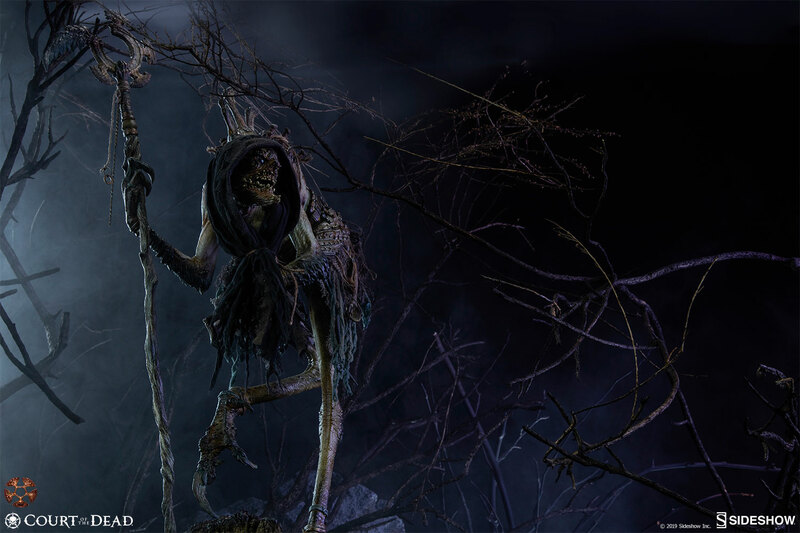 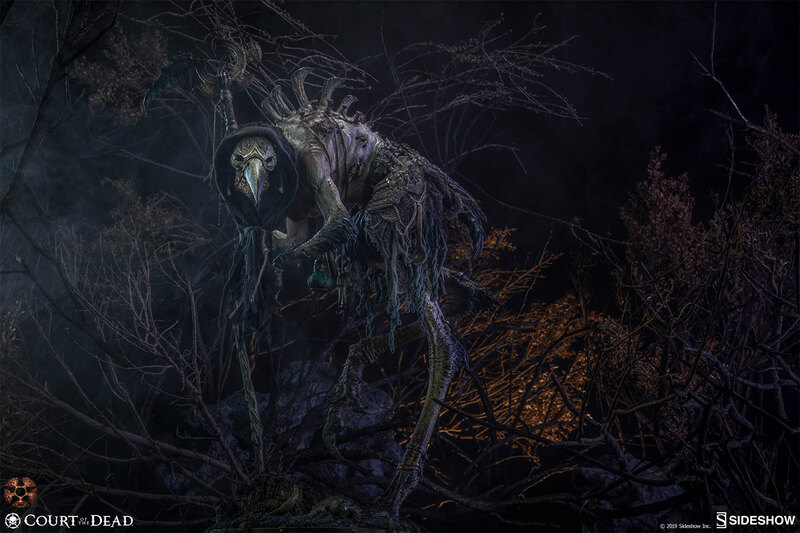 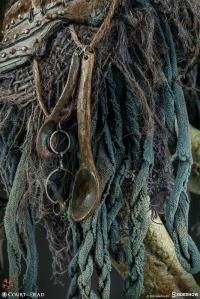 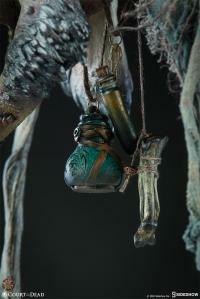 “He is collecting any last bits of spirit essence he can find from the fallen to feed his own life force." 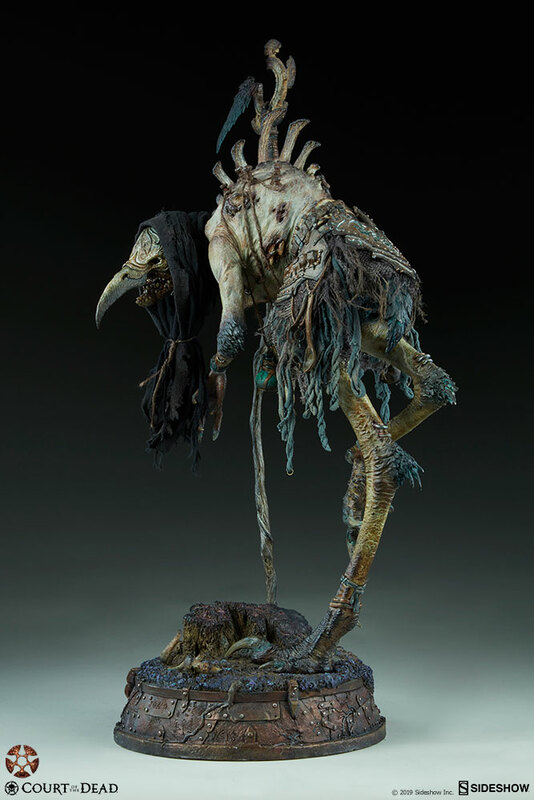 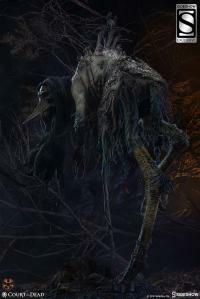 The resulting union of intricate realism with fantasy anatomy produces a character straight out of a nightmare. 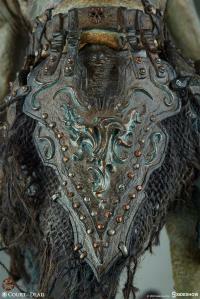 Peruse the visceral details of Poxxil and you won’t be able to look away - even if you want to! 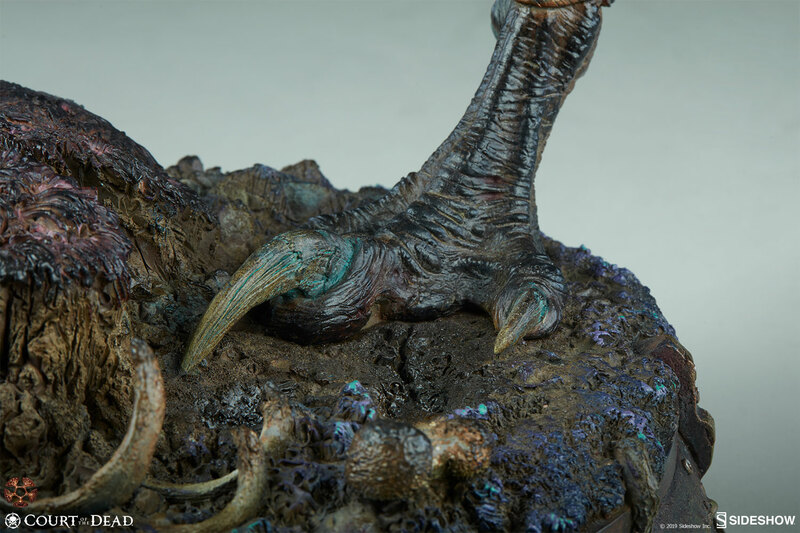 "My favorite sculpting projects are always creature-type characters where you can really let your imagination go wild without the constraints of conventional proportions, realism and likenesses,” Newman said. 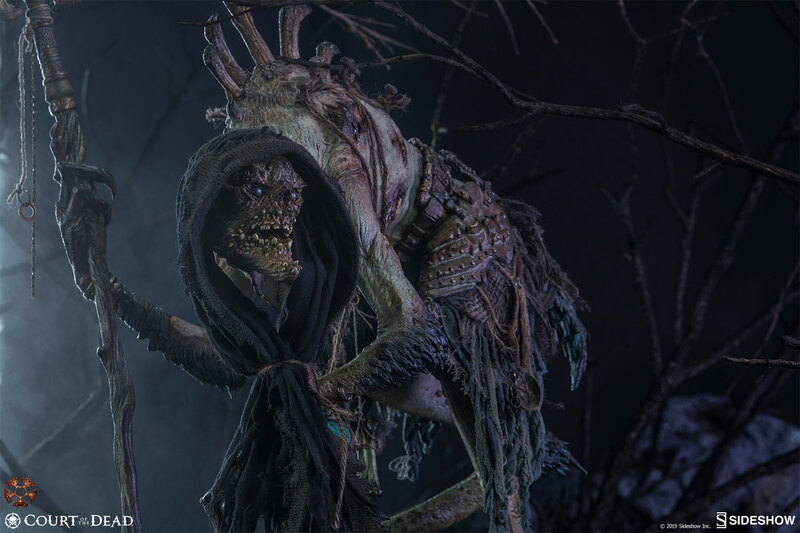 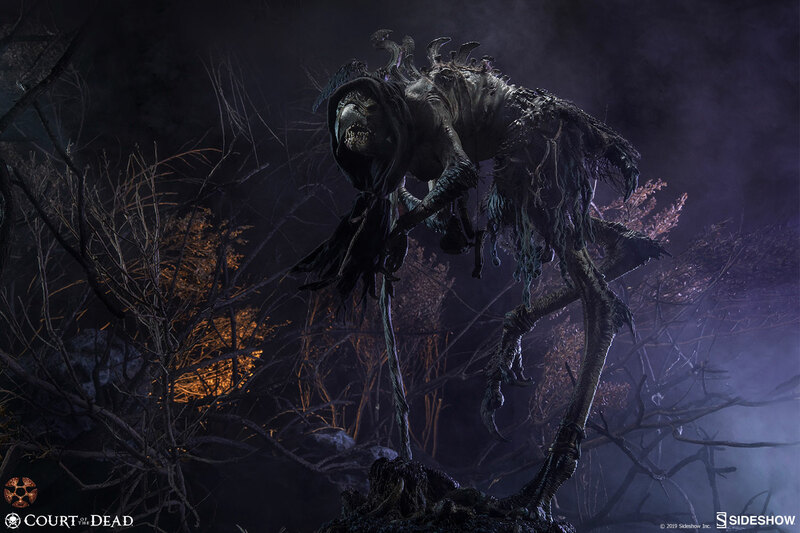 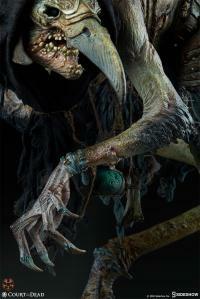 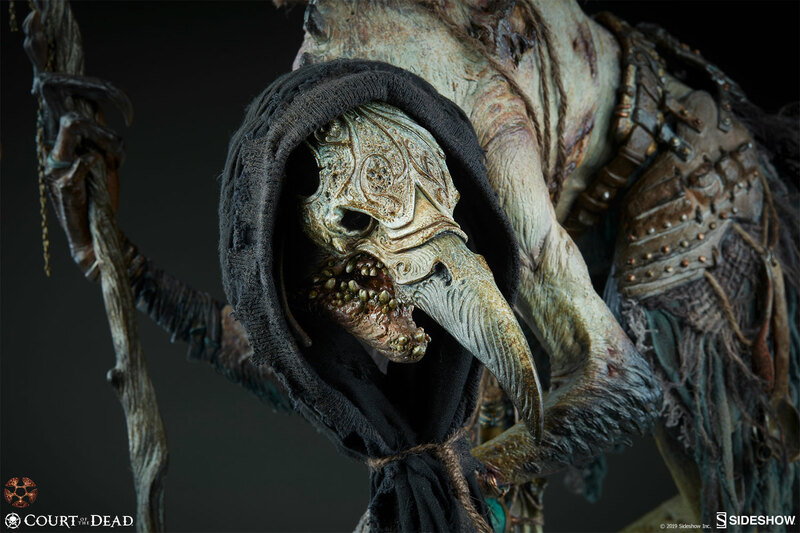 Sideshow presents the Exclusive Poxxil: The Scourge Premium Format™ Figure, the latest addition to our original Court of the Dead collection. 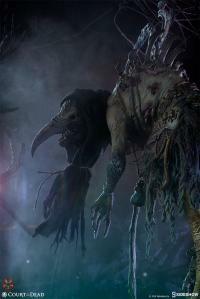 Never one to ignore an opportunity, plagues in the Mortal Realm are a veritable smorgasbord for Poxxil. 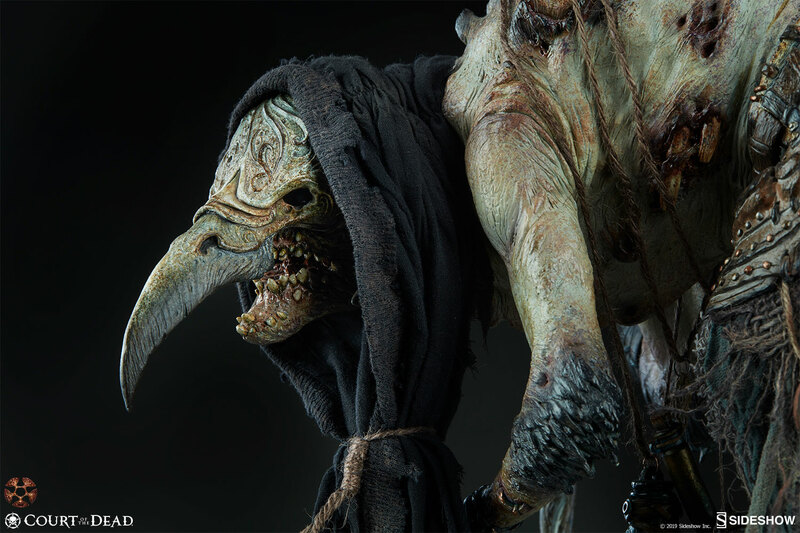 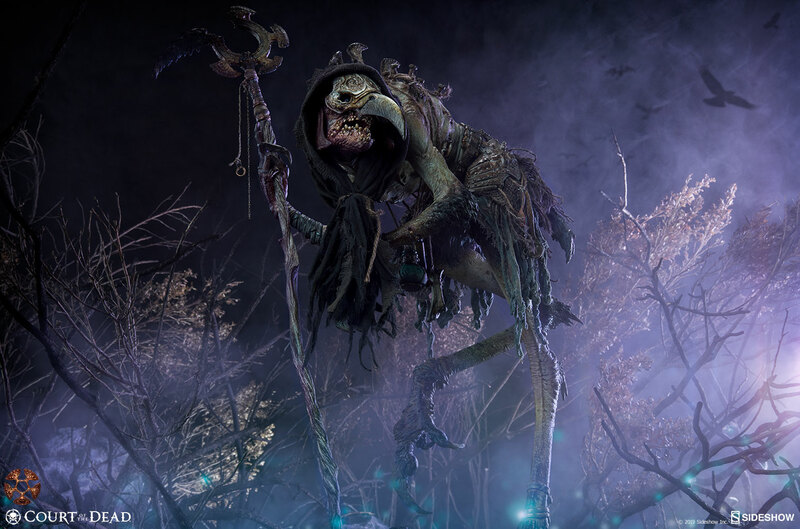 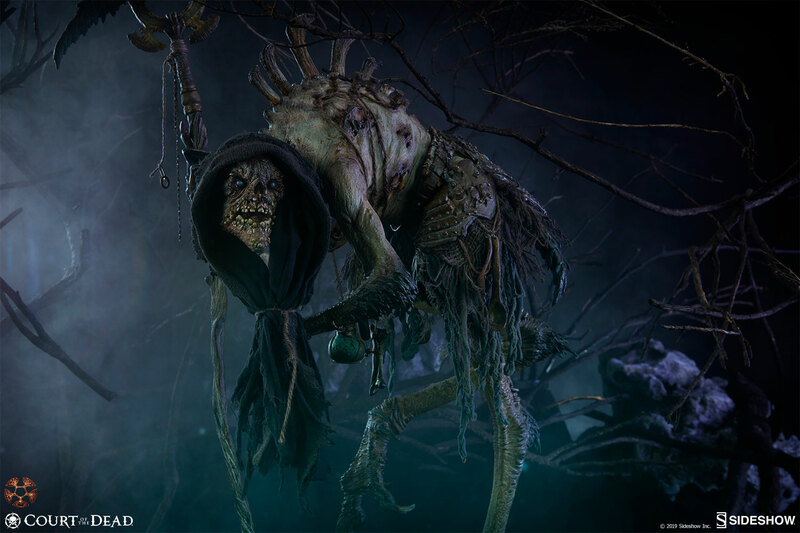 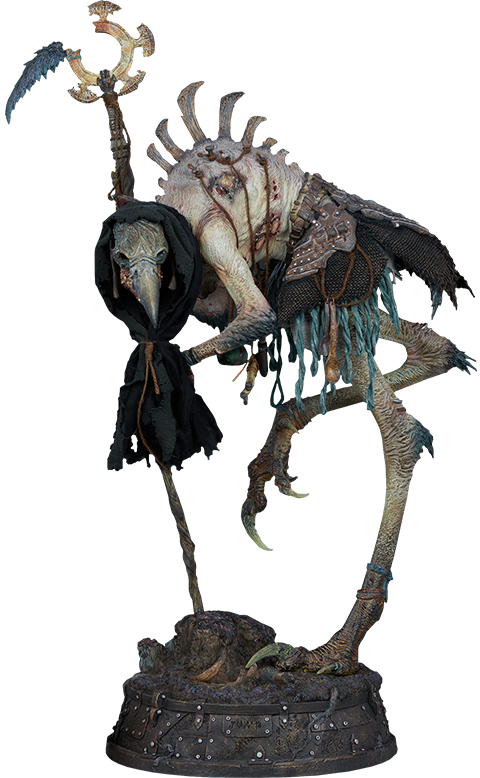 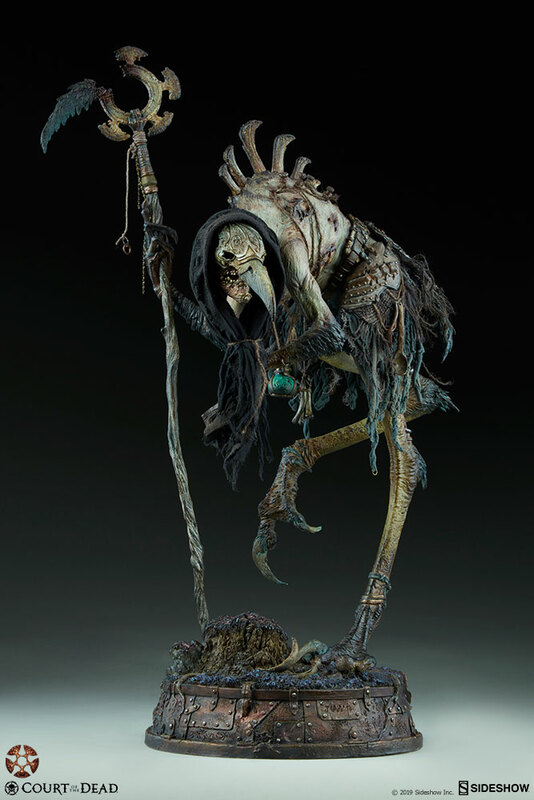 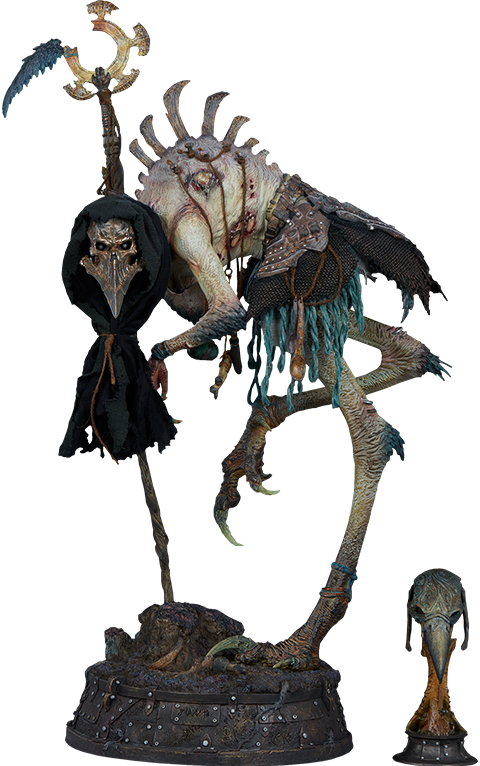 The Exclusive Edition of the Poxxil Premium Format™ Figure includes the “Pestilent” mask - a nod to Poxxil's favorite mortal affliction. 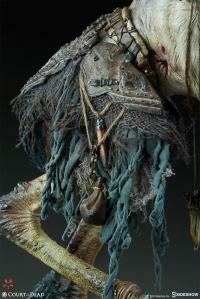 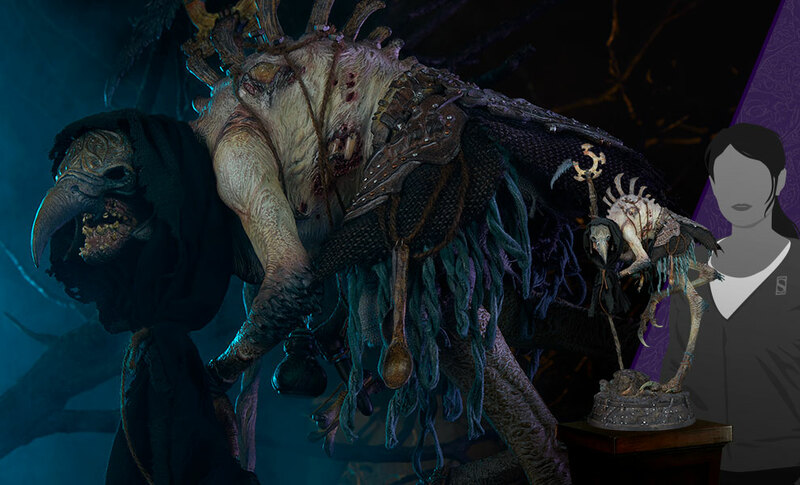 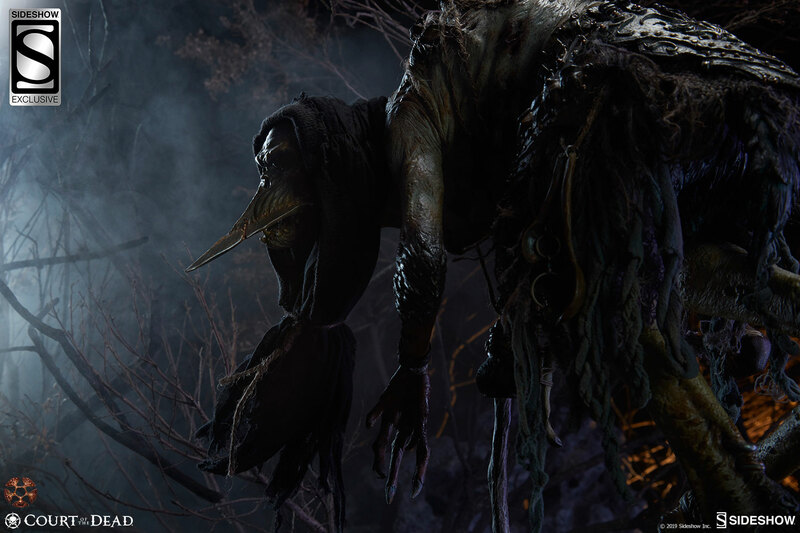 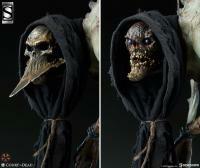 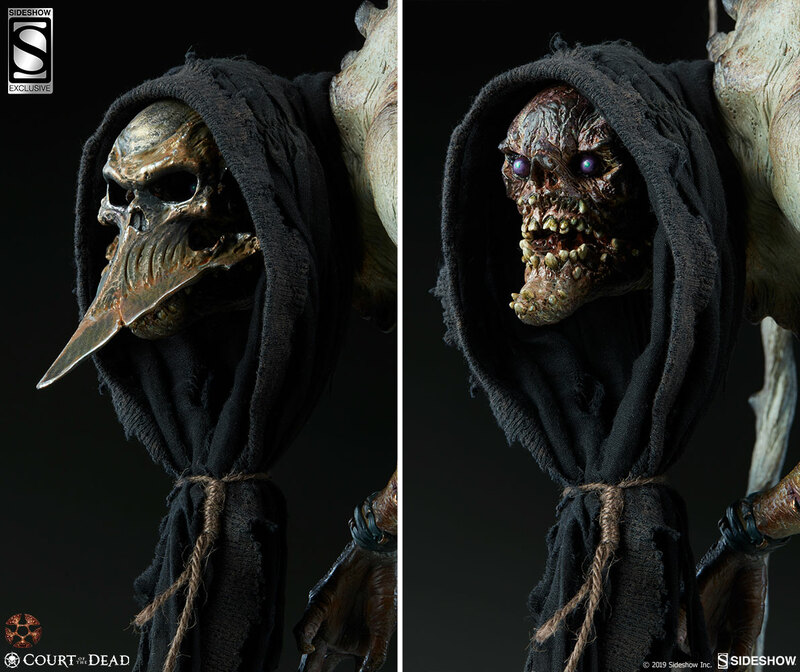 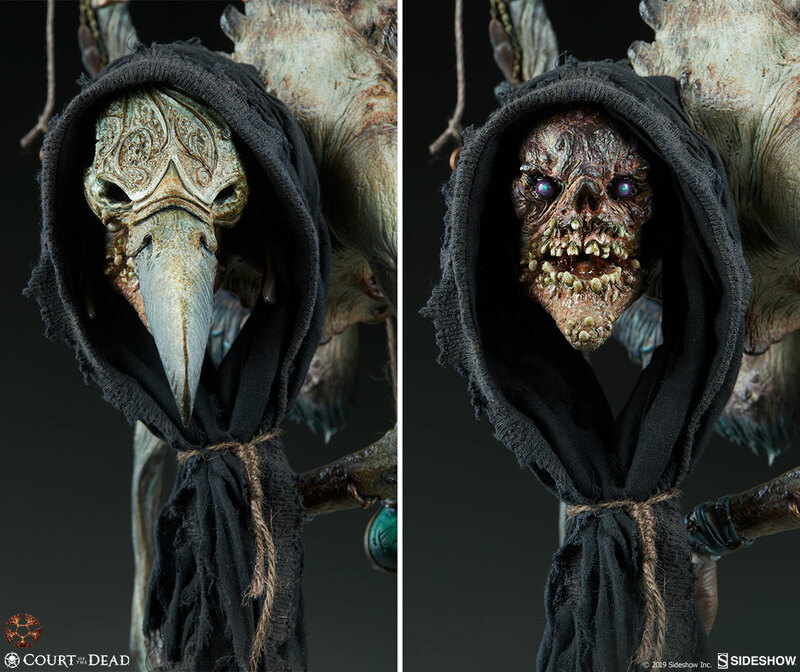 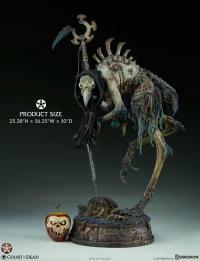 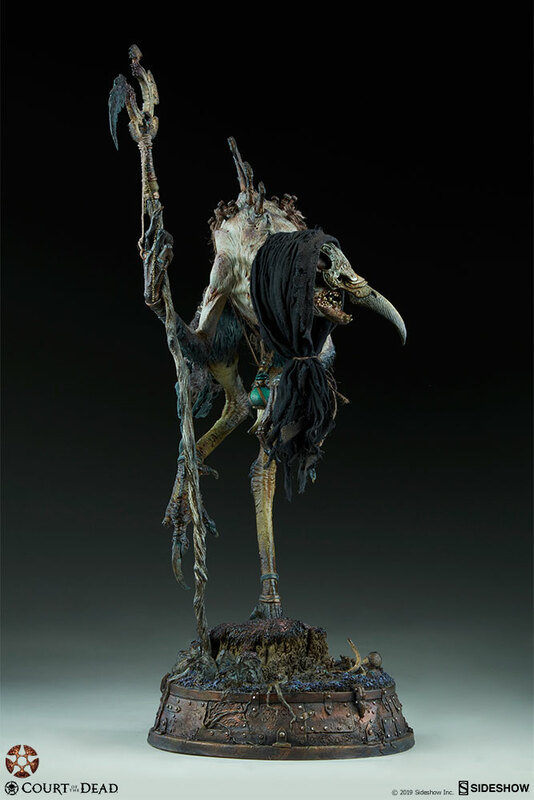 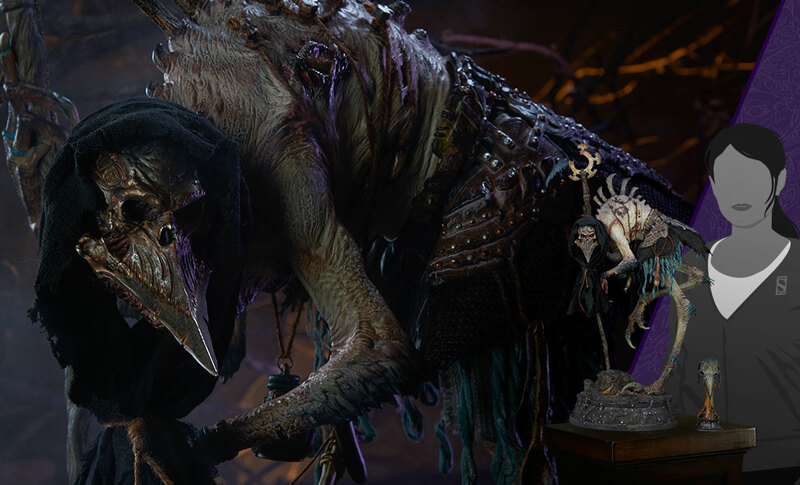 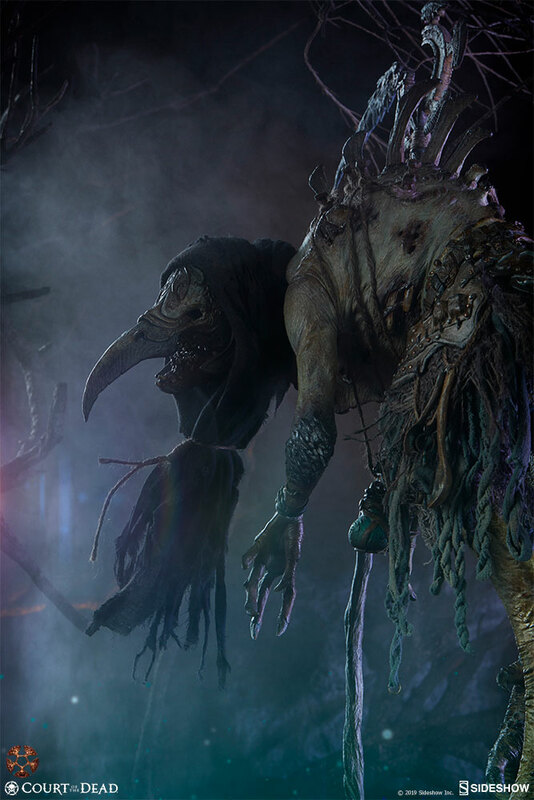 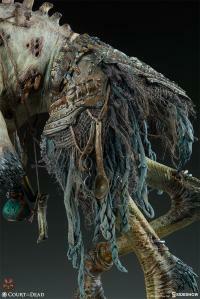 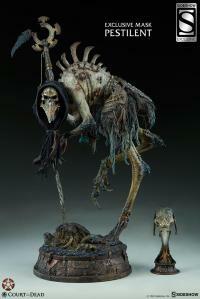 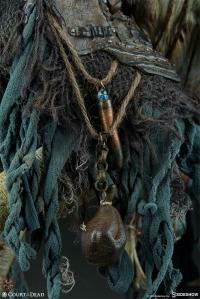 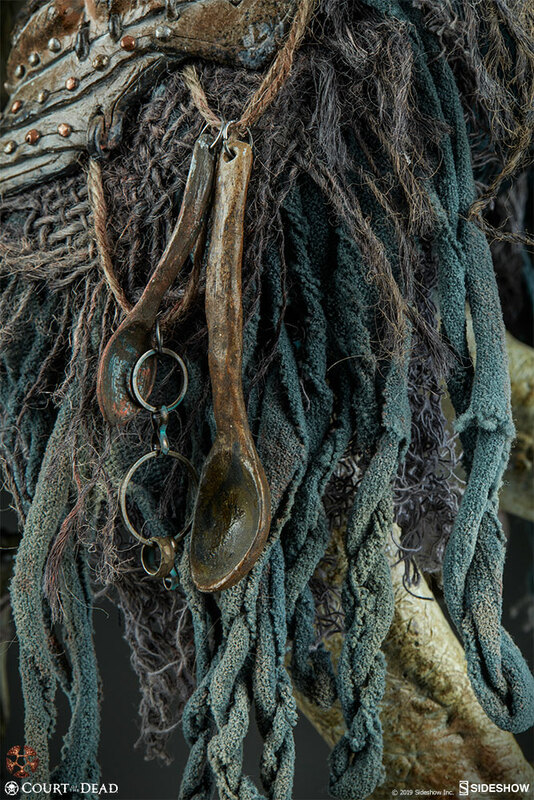 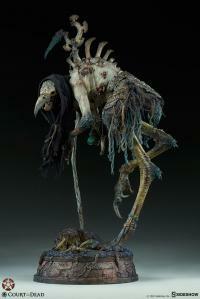 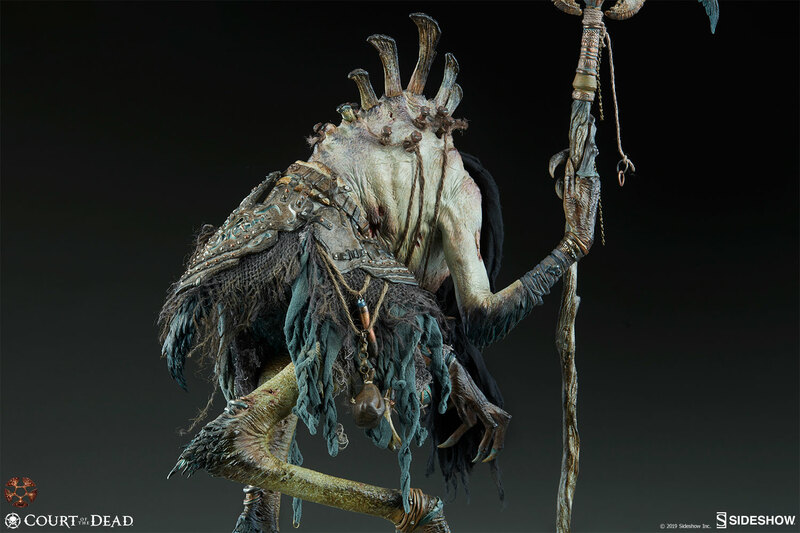 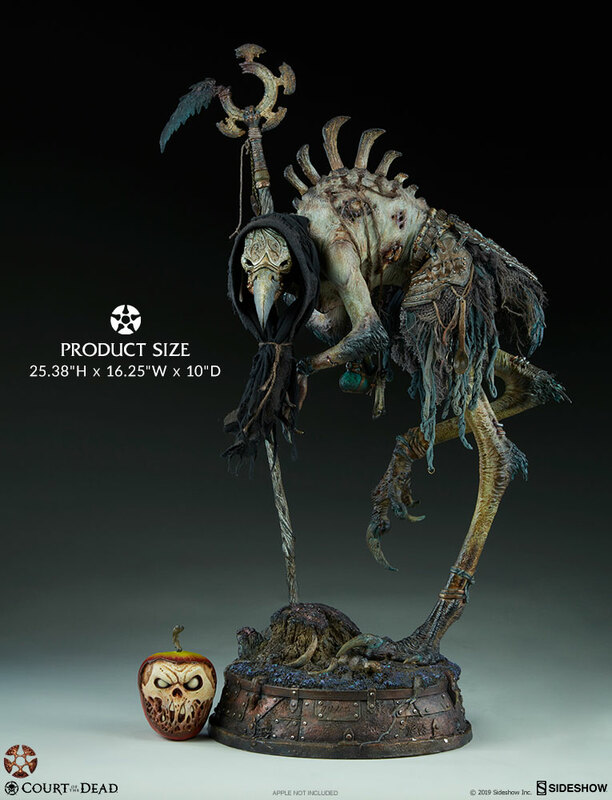 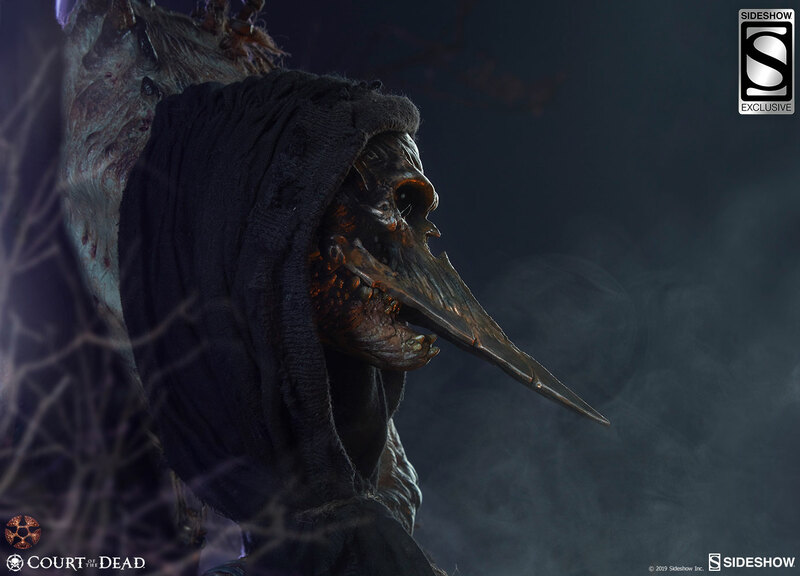 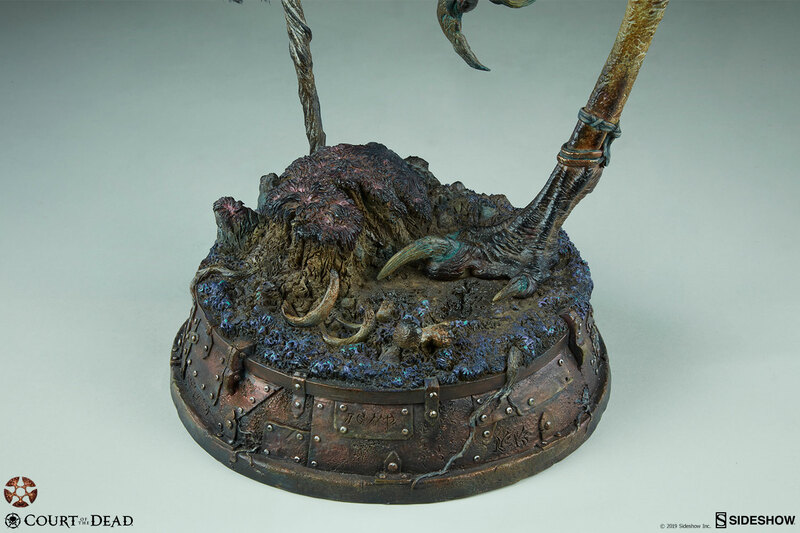 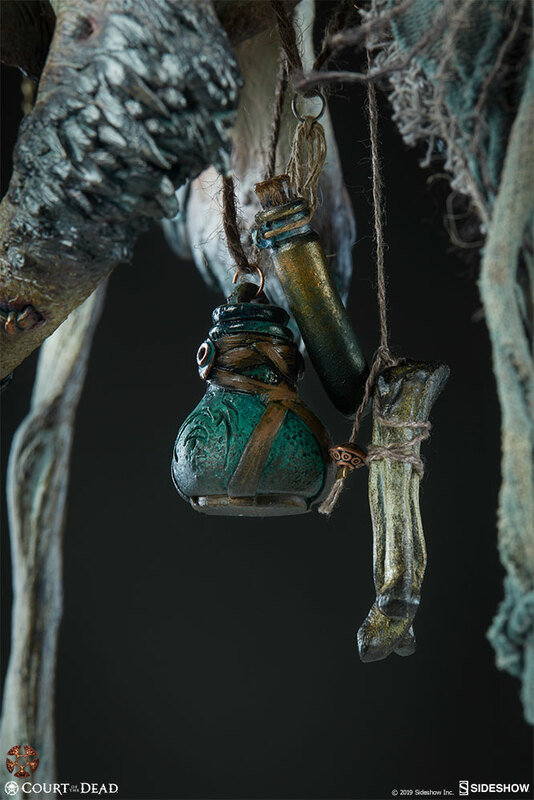 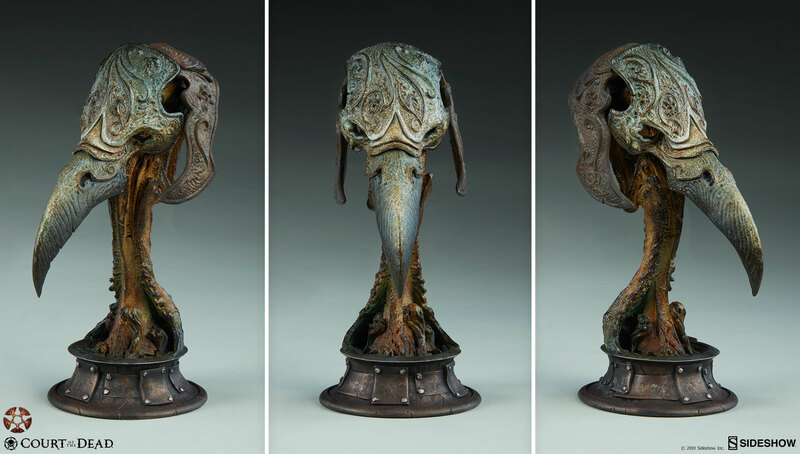 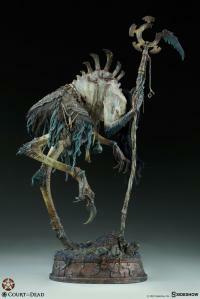 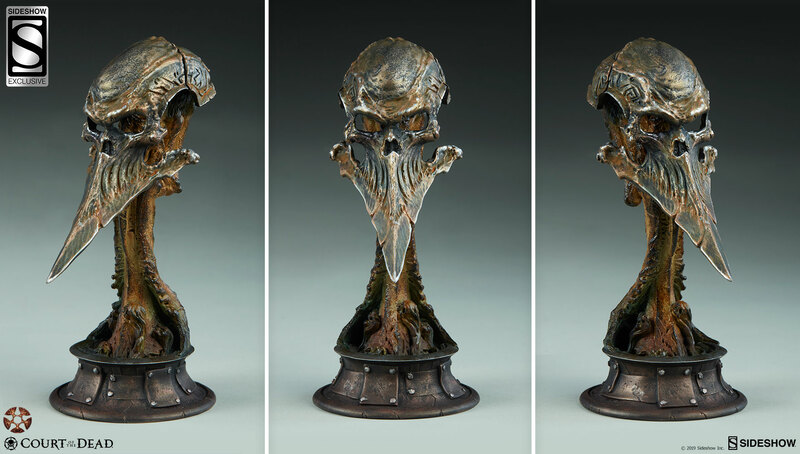 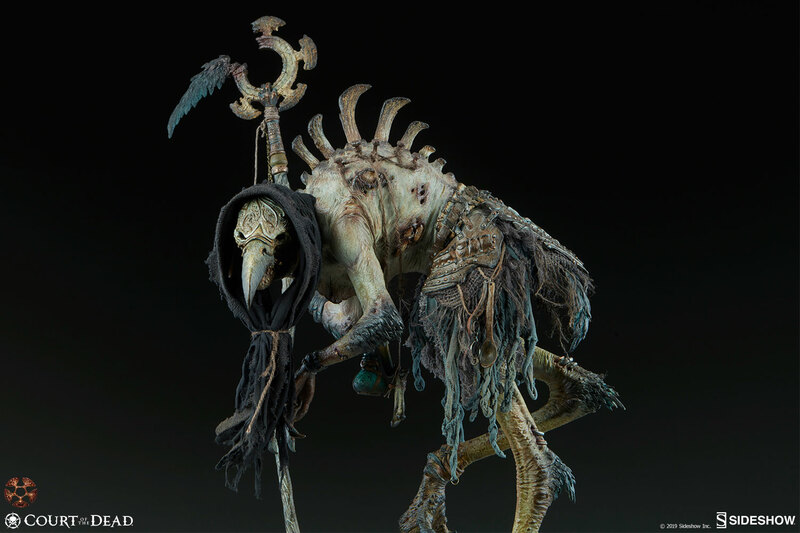 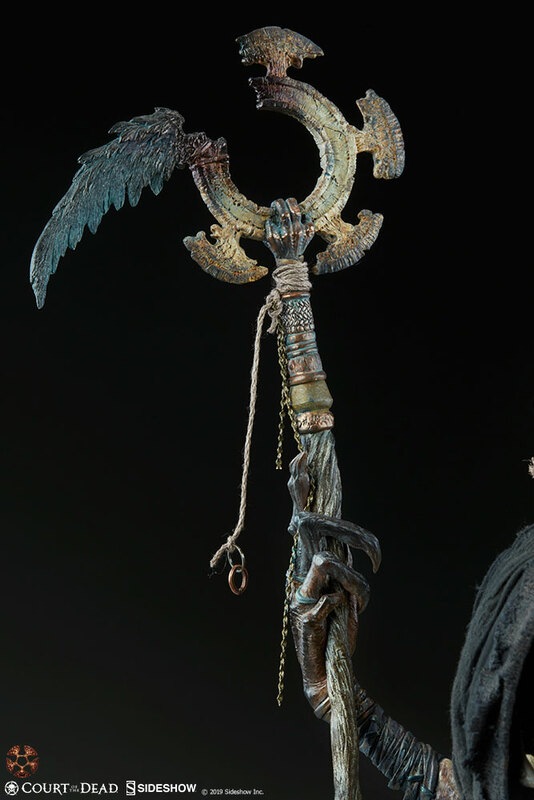 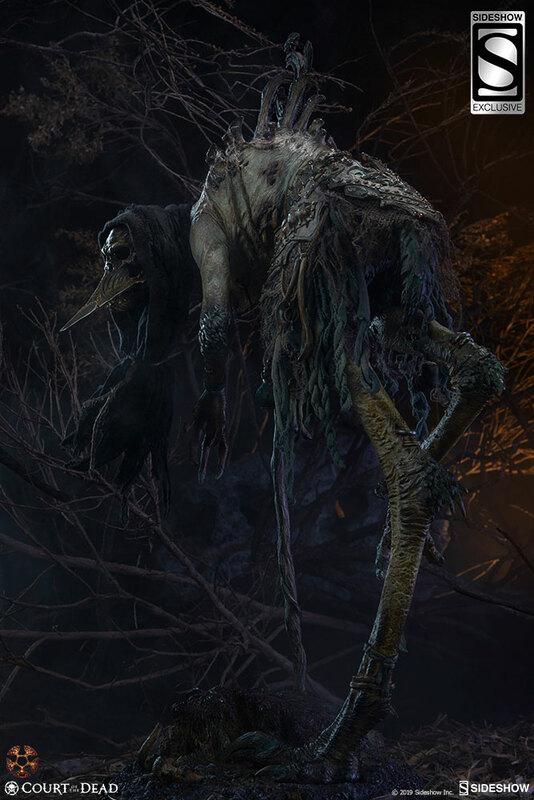 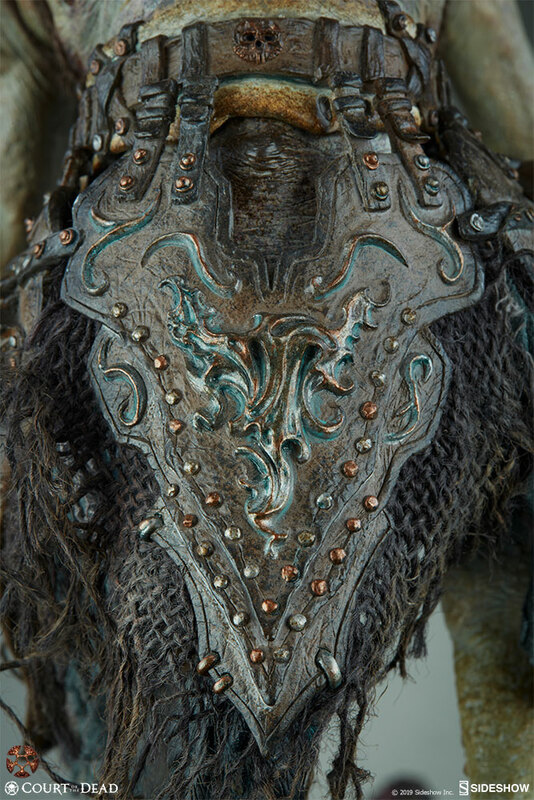 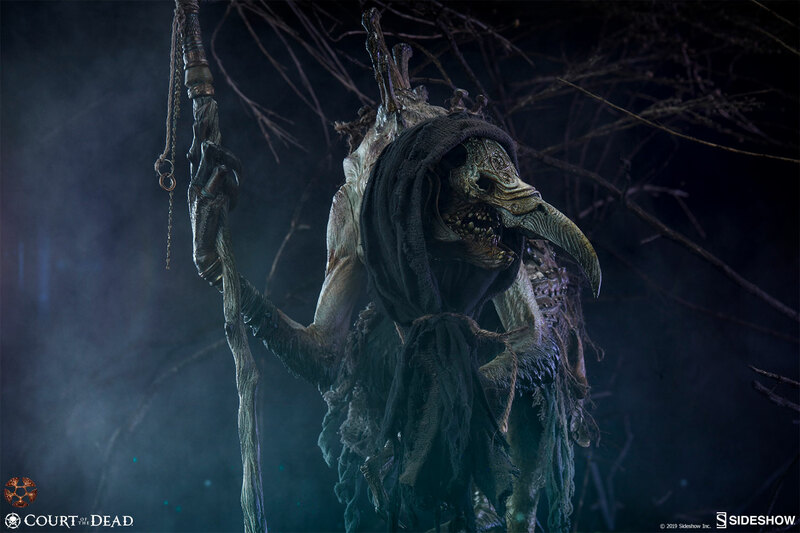 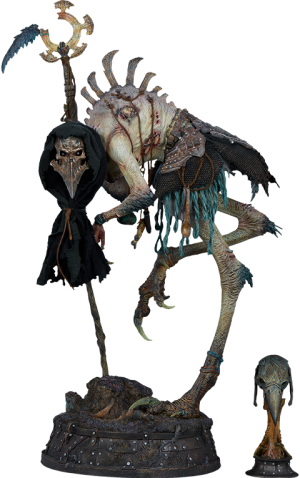 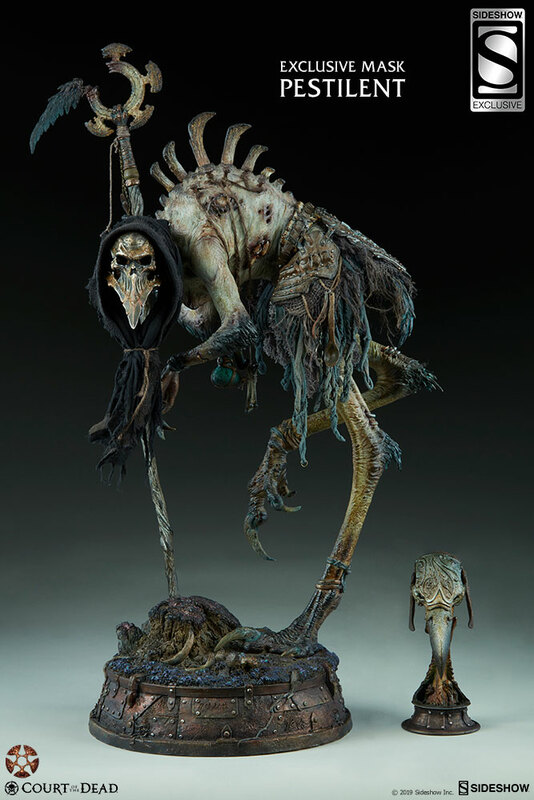 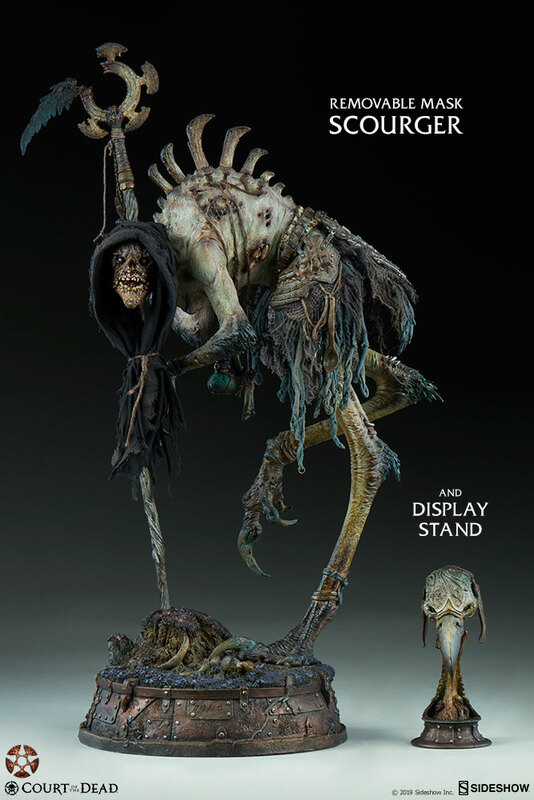 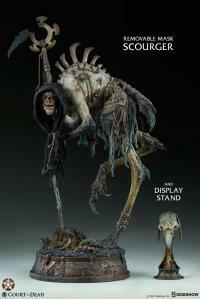 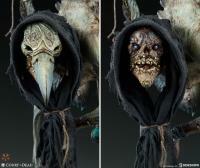 The “Pestilent” mask exclusive also includes its own display stand. 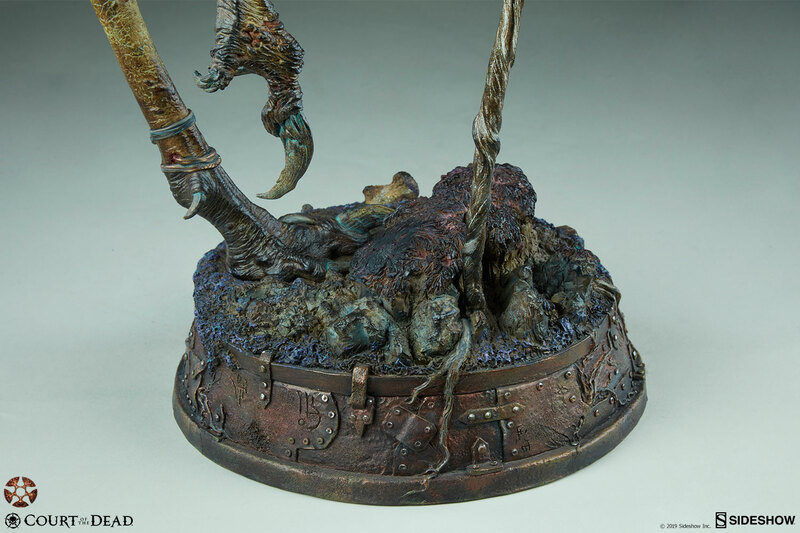 Don’t end up being an eBay scourger! 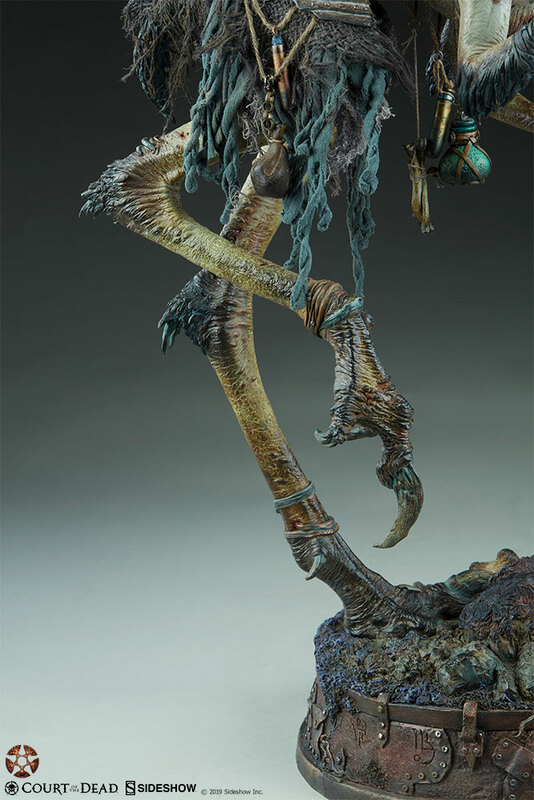 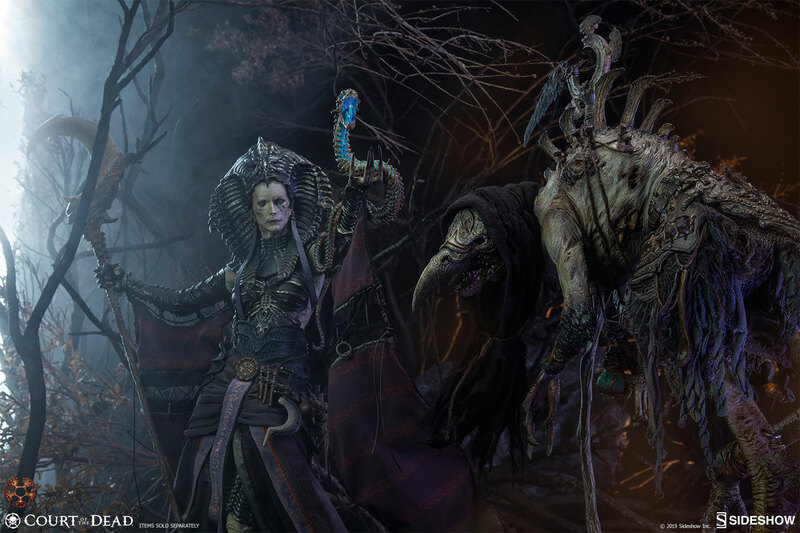 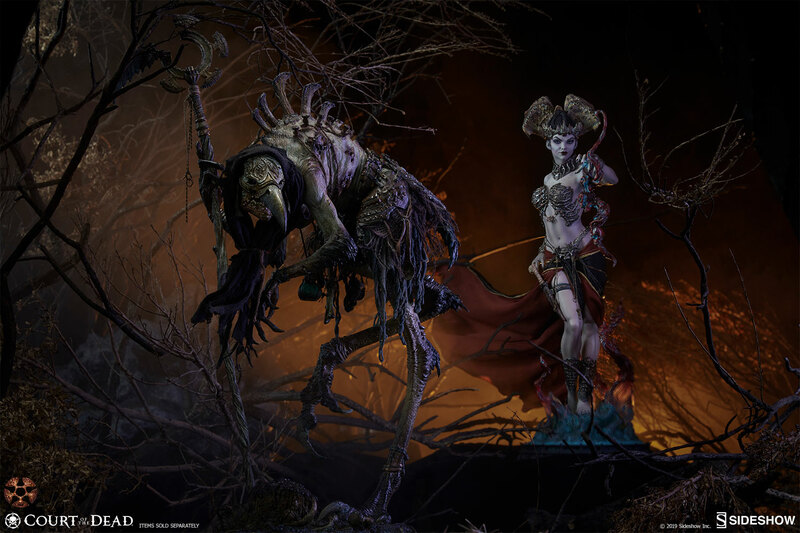 Snap up the Exclusive Poxxil: The Scourge Premium Format™ Figure while you still can! Pay as little as $92.25/mo. 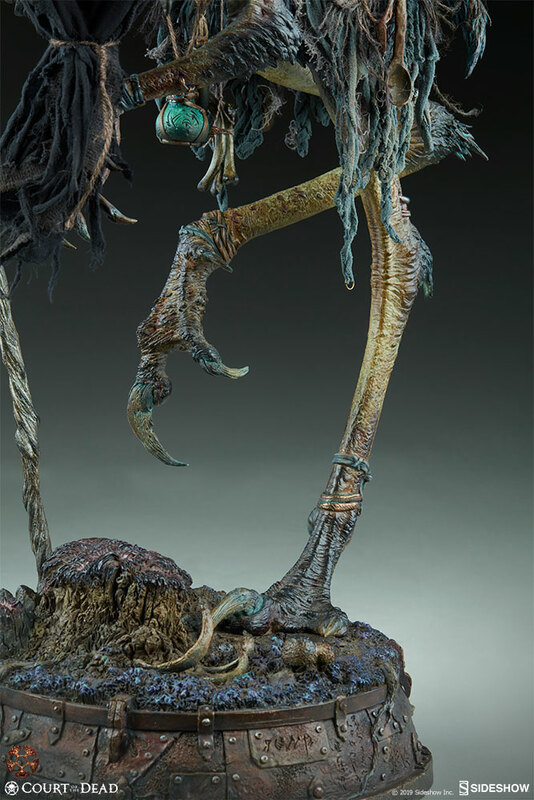 Pay as little as $94.50/mo.